I pretty much think this is the best quilt ever made, but I may be bias! :) This quilt is the culmination of two bees, The VIBs and the Twice Around the Block groups. The ladies were each give a piece of every print of Anna Maria Horner's Good Folks and asked to make a block constructed of half-square triangles. The results blew me away! This is a little pre-quilting shot. I had it professionally custom quilted by Krista Withers and she totally killed it! See that fabulous "K" she worked in there? I decided on another Anna Maria Horner print for the backing (from Field Study). 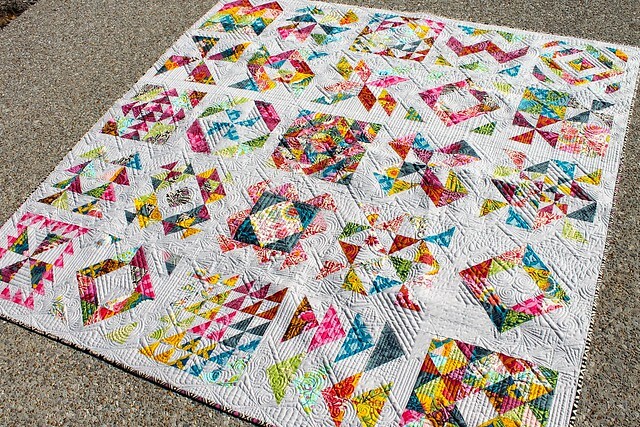 Very sweet quilt! Love the pop of colors throughout and the stitching is gorgeous! Very cool to see what they all came up with!! 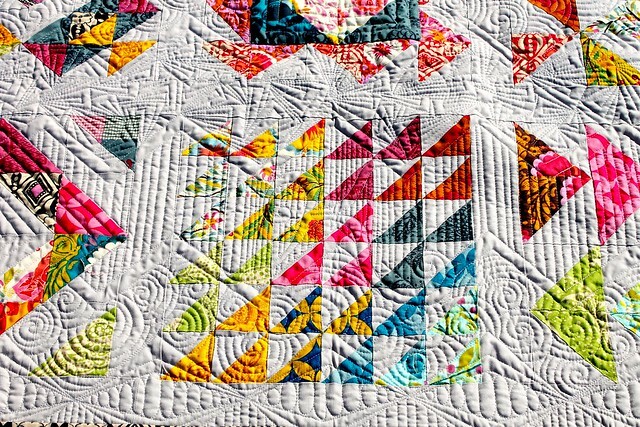 Beautiful work and the quilting is perfect. I am so mad at you right now! :-) I was thinking I might actually have a possible chance at getting my quilt at least nominated in the group/bee category, now you just went and had to enter this amazing quilt and blow my chances out of the water!!! I sooo love this quilt, I think I love it even more because I got to see it in person so I know just how fabulous it really is!!!!! I LOVE this quilt of yours! It is so perfect in so many ways. So happy to see it again! Of course it's the best bee quilt evah! And you're totally right, Krista did kill it. She's awesome! I love the background fabric you chose- it really makes the AMH prints sing! Lovely work. Very beautiful quilt. Love the colors. They really pop against the background. The quilting is amazing. Such an inspiring quilt! I love it, you're so lucky and clever to have it! Just so awesome. And love that I got to see it in person! 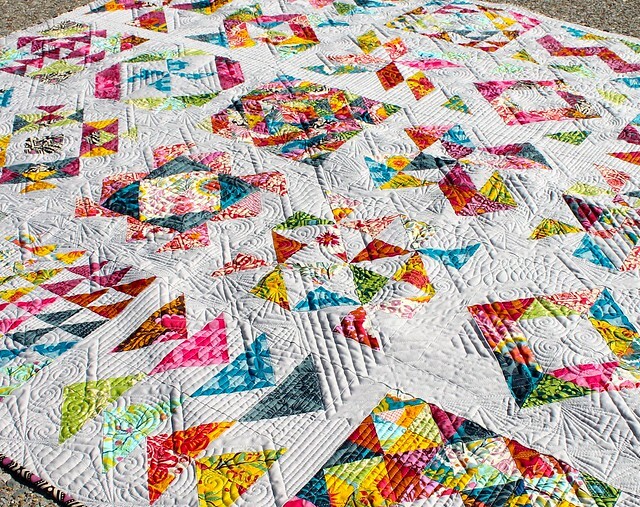 This is a GORGEOUS quilt!!! 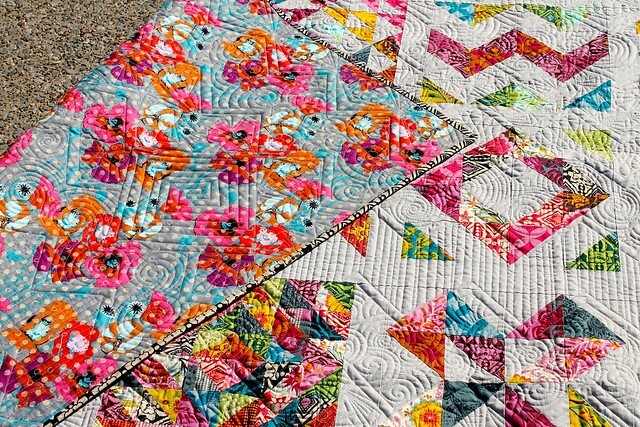 GORGEOUS quilting!!! Great colors! I love how unique each block is yet cohesive. Gorgeous! I love this quilt, just beautiful! 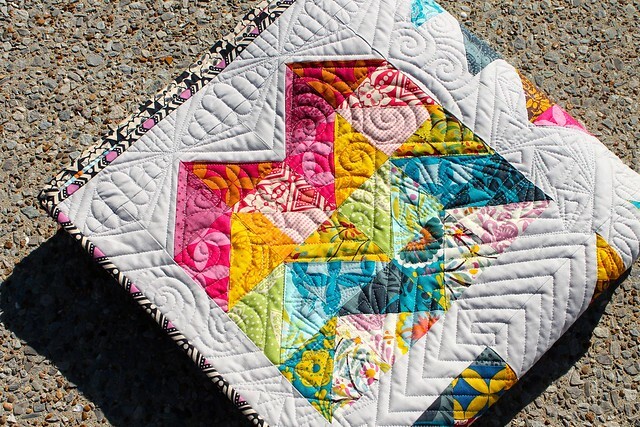 I just love doing sampler quilts, so many techniques to try! 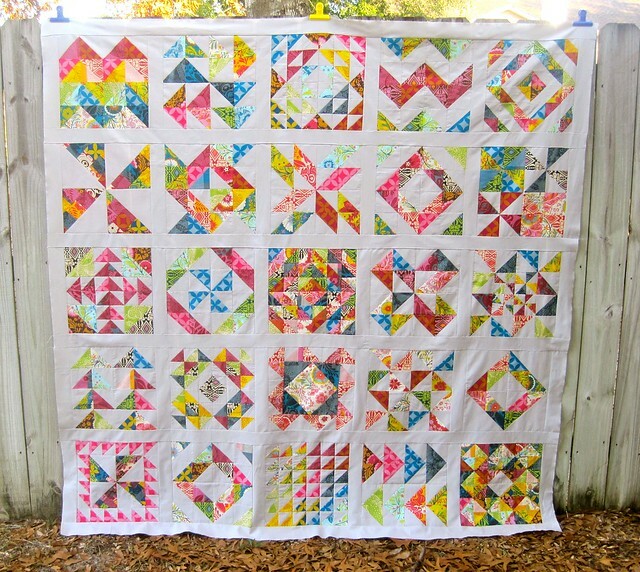 Love this quilt...so light and happy!